Comedian, songwriter, stage actor and radio personality known for partnering with performer Ben Bernie. He hosted the NBC radio program Take It or Leave It from 1941 to 1947. He went to school in Boston and began his stage career in vaudeville productions as a teenager. When World War I broke out he took a hiatus from his successful show business career to join the US Navy. He had four children with Peggy Cartwright and two children with Danish Model Ingraad Erik. 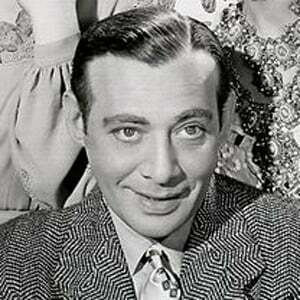 He co-starred in The Gang's All Here with Carmen Miranda .